Vitamins, shoes, tampons, dog food, sneakers. Seemingly ordinary consumer products can be made (and presented) as extraordinary through one important medium: their packaging. With investments in Everlane, Allbirds, Ollie, Dia&Co, as an investor (as well as a consumer) it’s clear to me that packaging is incredibly important to making an amazing first impression, and delivering a memorable first moment with a brand. Three years ago, this truth really started to register. I tweeted about a marigold box that was going to help me take my daily vitamins. I was so impressed with the packaging, I took to Twitter to share the story and that’s when Stephan Ango, the co-founder of Lumi, liked my tweet and we struck up a conversation on packaging. Fast forward to today, and I’m with Stephan and Nancy Walton, Sr. Operations Manager at our portfolio company Ollie, to talk about the role of packaging and design for DTC companies. 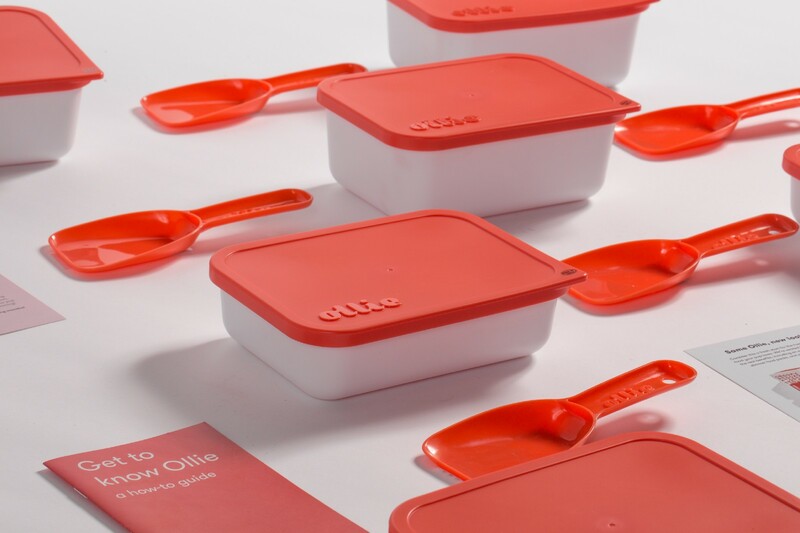 Our conversation spanned everything from building for two core customers (human and pets), unexpected challenges of a cold-chain business, and how small packaging change — like color — can make a big difference in the daily life of the end consumer. Here are some highlights. I’m a marginally nosey neighbor — I love a good overstocked mail room in residential buildings. We live in a time when anything can be delivered — vitamins, supplements, pet toys, cosmetics, prepped meals, wine, rented apparel — you name it and you can probably get it delivered in a box. For me, it’s a quick gauge of what companies are gaining traction. Done well, packaging can be an effective method of “outdoor advertising” and in turn, this can bring down a very expensive line item for startups: sales and marketing. The brown boxes littering the sidewalks and clogging building doorways might be the best free advertising around now. Founders, don’t forget to take advantage of the exterior of the box for general brand awareness with your company name and logo printed boldly on the side. Equally important is the interior box aka “the unboxing.” This is your first moment with your customer after they clicked “confirm order” and it’s an important one — it can be a powerful word-of-mouth moment where your customer can turn into your promoter and advocate. The better the unboxing, with attractive colors and clever copy, the more likely you’ll have your viral moment. People love to share what they love. And in a world of iPhones and Instagram, everyone is looking for content. And that should not be their only first impression. Every iteration you do from a packaging perspective, you almost have to reinvent yourself in a new way so that the experience doesn’t get stale. So it’s important to think inside the box, too. Packaging is a direct-to-consumer company’s singular brand touch point without delivering a retail experience. How your product looks and feels in a space, in a box, connotes perceived value and engenders loyalty when the brand resonates. We all like nice things. And we all like nice things that look nice when they come to us. Why go the extra inch when you can go the extra mile — material, color, form-factor. The best consumer brands today stand for something and it works for the business. The holy grail of packaging is when you can package your products in a way that aligns with your mission, delights your customer and also considers the costs of delivering the overall experience. Take Allbirds, for example. Allbirds is on a mission to show the world that you can make great products using sustainable materials — rubber, tree, wool — using less water and reducing our carbon footprint. Order a pair and you feel the mission through your entire experience. For example, you won’t find a box-within-a-box, but you will find an intentional effort to reduce cardboard waste — the shipping box is the shoebox and through clever box design, the unboxing still feels like you’re opening up a personal delivery. Allbirds also uses the same boxes for a DTC shipment or retail. On one end of the box, there is a large color label that shows both the color and size of the shoes. In stores, sales associates stack the boxes for more organized inventory and fulfillment and can quickly see if a shoe is in stock or not. As for shipping, the same box comes right to your door with a shipping label. Allbirds’ mission to prove that comfort, good design and sustainability don’t have to be mutually exclusive also proves that you can carry a brand ethos throughout the entire customer experience. What are you excited about in the DTC space? Share your thoughts below in the comments or tweet at me @strandby.